Days of Our Lives spoilers reveal Jordan Ridgeway (Chrishell Stause Hartley) sneaks into Ciara Brady‘s (Victoria Konefal) hospital room after her rescue. However, Jordan isn’t there to wish her well. 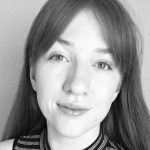 Instead, she sneaks in with a syringe – perhaps to make sure Ciara Brady doesn’t reveal she’s the kidnapper. 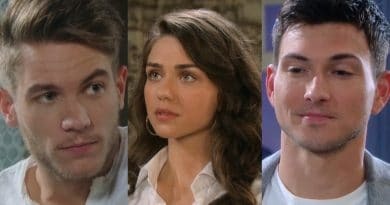 Days of Our Lives spoilers show Jordan Ridgeway wants to keep Ciara Brady quiet about her crimes. Viewers knowJordan Ridgeway kidnapped Ciara out of a misguided plan to “protect” her. All she wanted was to keep Ciara safe from Ben Weston (Robert Scott Wilson). Obviously, Jordan Ridgeway needs mental help if she thinks kidnapping Ciara and Charlotte DiMera (Matilda Hanna) was a good thing. Now that Ben ends up finally rescuing them – with Chad DiMera’s (Billy Flynn) help. Jordan is in trouble on Days of Our Lives. Days of Our Lives spoilers promise Ciara Brady ends up in the hospital with injuries, so Jordan knows where to find her. To keep the suspicion off her, Jordan sneaks into Ciara’s hospital room, syringe in hand. Does Jordan plan to kill Ciara – or is the syringe just full of something that will knock her out or wipe her memories? At the moment, the police aren’t considering Ben’s sister as they search for the kidnap vicitms. Instead, on Days of Our Lives, everyone is looking in the wrong direction. Chad and Abigail Deveraux (Kate Mansi) confronted both Ben and Stefan DiMera (Tyler Christopher) about their daughter’s kidnapping. Hope Brady (Kristian Alfonso), accused Ben Weston of the crime. Of course, Hope has never been Ben’s biggest fan on Days of Our Lives. It was only a matter of time before she blamed him for the crime. According to previous DOOL spoilers, the police end up arresting Ben for the kidnappings. Because his sister planted evidence, Ben winds up looking guilty. However, he manages to escape custody long enough to save the woman he loves. Days of Our Lives Spoilers: Ex-Serial Killer Ben to the Rescue! Jordan Ridgeway never planned on Ciara Brady getting out of the kidnapping alive. In fact, as the situation escalates, she sets fire to the cabin where she trapped the other woman. Much like the last cabin fire, Ciara is stuck with no one to help her. This begs the question of whether Ben’s sister also started the last fire. Days of Our Lives spoilers reported Ben Weston shows up to save the day. He rescues her from the fire, though it looks like she is worse for wear. The injuries send Ciara Brady to the hospital, where her kidnapper can get to her again – and potentially silence her for good. After the fire, Ciara Brady might not have time to tell Ben his sister is to blame, especially if she’s hurt. So, watch DOOL next week to see what Jordan Ridgeway does next. Make sure you return to Soap Dirt daily for all the latest Days of Our Lives spoilers and breaking news. ← ‘General Hospital’ Spoilers: Ryan’s Obsession With Ava Ruins Plan – Targets Griffin In Jealous Rage? 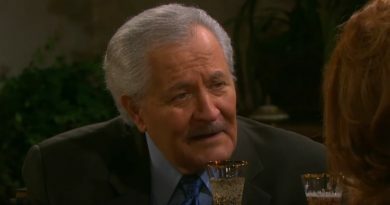 Days of Our Lives Spoilers: John Aniston Health Update – Staying or Leaving DOOL?